Birth control is a business with a lot of money at stake and has drug companies vying for the profits from birth control pills and other methods of contraception. Even given the age of the birth control pill (over 60 years), the drug companies are continuing to make new pharmaceutical and contraceptive devices at an unprecedented rate. The Mirena IUD, on the United States market since 2001, comes from a long history of intrauterine devices, and its path appears to be just as troubled. A Mirena IUD can, among other things, perforate the uterus, causing a dangerous medical condition that needs to be addressed immediately. Miller & Zois is accepting only Mirena cases involving a diagnosis of pseudotumor cerebri which involves vision loss from the build-up of fluid in the brain. Call us today at 800-553-8082. 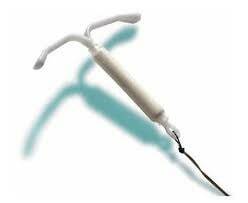 An intrauterine device is a type of long-lasting birth control which is designed to be implanted directly into the uterus. There are only three hormonal IUDs currently available on the U.S. market: Skyla, Liletta, and Mirena. Mirena is a little larger than a quarter. It is a t-shaped and is made of flexible plastic. It is designed to provide continuous birth control for up to five years. The device's manufacturer, Bayer, is not entirely clear about how Mirena works. They know that it releases a steady dose of the hormone levonorgestrel to prevent pregnancy. They also suspect that it inhibits pregnancy by thickening cervical mucus (limiting the movement of sperm) and possibly by thinning the uterine lining. The Mirena must be implanted and removed by a doctor though surgery is not required unless there are problems. A Mirena IUD is said to last five years; the copper ParaGuard IUD lasts ten years, and the Nexplanon implant is expected to last three years. There is no question that IUDs like Mirena are effective forms of birth control. They are said to be 99.7% effective, and there is no risk of user error on forgetting to take the pill or insert a diaphragm. So in spite of the cost (over $700) and the procedure required (again, it is inserted into the uterus through the cervix, not an appealing idea for many women), the convenience of IUDs led to widespread usage. But IUDs in this country have a pretty horrific history. In the 1970s, one particular IUD, the Dalkon Shield, had an awful design that left a woman at grave risk for infection. As a result, ten women died, and the FDA had to pull the product from the market. The infections also left thousands more infertile and led to over $400 million in settlements before its' manufacturer went out of business. IUDs mostly vanished from the United States. Now, led by Bayer and other companies drawn to the potential gold mine that is successful birth control medication, they have reemerged. The question is, are they safe? While some disagree, the message we are increasingly getting from victims is no. Serious complications have emerged with Mirena. Many patients have problems because the Mirena becomes embedded in the wall of the uterus. Getting it out of the uterus can be a challenge. Even more concerning is a perforation. This occurs when the IUD migrates into the abdominal cavity. This can lead Mirena to become embedded not in the uterus but in the bowel, bladder or another adjacent organ. This can require abdominal surgery. Adhesions are also a concern. In some cases, future pregnancies can be impacted. We have earned tens of millions of dollars in verdicts and settlements for victims by fighting every single case like it was our last case. Can we help you with your Mirena IUD claim? Call 800-553-8082 or get a free online consultation. In severe cases, the IUD must be removed surgically. Sometimes surgical repairs are required, and removal of the uterus (hysterectomy) may be necessary. There are many Mirena pseudotumor cerebri/idiopathic intracranial hypertension cases. They have combined into a type of class action known as a "mass tort." The cases share common discovery, which is an efficient way to conduct cases where there are many injuries arising from the same defective medical device. Mirena lawsuits are gaining steam elsewhere. Our law firm anticipates the number of cases to rise dramatically in the upcoming months and years. The Mirena IUD migration lawsuits are not moving forward. Our lawyers are not taking them and we do not know any attorneys who are. If you are reading online that there are lawyers that want these cases it is probably because they have not updated their websites. These cases were dismissed in 2016 and that dismissal was affirmed by the Second Circuit Court of Appeals in 2017. Take a look at the timeline below. Could these cases one day make a comeback after plaintiffs accumulate more evidence? Absolutely. But right now, it is fair to see these lawsuits are not going anywhere. We are sorry if you are just getting this news now from us. Many women are still calling us with migration cases. They are angry and they have every right to be. But right now, there does not seem to be a path to compensation for these victims. Will My Mirena IUD Lawsuit Reach a Settlement or Will I Need to Go to Trial? The short answer to this question is we do not know. There is certainly no guarantee that if you bring a Mirena IUD injury claim, you will resolve it in a settlement that brings you a lot of money. But, the history of mass tort litigation like this suggests that the odds are strongly against an individual plaintiff going to trial. The far more likely outcome than a jury trial is a settlement or a dismissal of the claims. In our opinion, if you have a viable claim, a settlement is far more likely than a dismissal. Keep in mind, the vast majority of lawyers handling the Mirena IUD cases are going to front the costs and expenses involved in any claim, so there is no risk to you for joining these lawsuits. April 2018 Update: Judge will hold "Science Day" to educate the judge on the medical and scientific issues associated with the Mirena intrauterine device. March 2018 Update: There are now over 400 intracranial hypertension lawsuits pending in federal court in New York. April 2017 Update: The MDL Panel ruled to centralize all of the intracranial hypertension lawsuits in New York. July 2016 Update: Judge dismisses all 1,300 perforation cases pending in the MDL because she rejected the testimony of the plaintiffs' experts, finding that their testimony was unreliable. In October 2017, the Second Circuit affirmed the courts ruling, effectively ending the migration/perforation cases. February 2016 Update: Pseudotumor Cerebri lawsuit is filed in New Jersey. May 2015 Update: Judge Cathy Seibel told the parties that another group of five Mirena cases will advance toward the trial in late 2016 or early 2017. September 2014 Update: These cases are getting ready for trial. Well, sort of. The twelve Mirena IUD lawsuits that are going to go first in federal court have been selected. But trials are not set to begin until March 2016. One take-home message from this: these cases take a long time. If you have a claim, now is the time to get moving forward. An article that largely defends the Mirena IUD and calls the side effects rare. Okay. But read the comments to the article. It does not seem so unusual, does it?